At Classic Cycle we have developed our fitting techniques through the influence of several fit philosophies and programs. We combine this with personal fit and custom bike experience to create a menu of services to suit every cyclist’s needs. Everyone should have at least a basic bike fit so that your bike is set up to your body and range of flexibility. A good fit will give a rider a proper biodynamic set-up to provide a more comfortable and efficient riding experience. A basic fit is included with every new bike purchase or you may upgrade to one of our private one-on-one fit sessions by appointment with our certified fit specialist, Gavin O’Grady. joined Classic Cycle in 2007 bringing with him 9 years of amateur and professional racing experience that included close working relationships with the people who built his racing machines. This included all types of bicycle frames: Road, Track, Time-Trial, Cyclocross & Mountain. 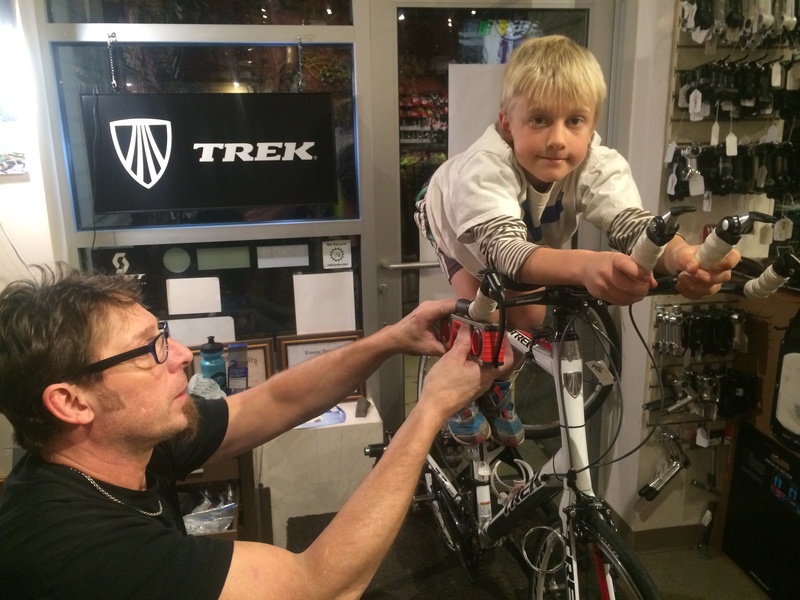 Gavin merges his knowledge of frame design with his fit training, which began way back in the mid 80’s using the FIT-KIT bike fitting method, and his more recent and modern training with TREK and Specialized Fitting Schools. Our philosophy is to create a fit that is comfortable, addresses a rider’s current aches/pains and is applicable to the rider’s intended use for the bike while maintaining optimal ride performance.